Over the course of 2018-2019, our school will be undertaking a series of challenges to help raise money for a Heartstart HS1 Semi-Automatic Defibrillator. When a heart stops, you're up against the clock. Without action, survival rates fall by 10% every minute, yet using a defibrillator within three minutes can improve a person's chance of survival by as much as 70%. Within the UK, however, there just aren't enough of them and there are currently no defibrillators close to our school. To raise money, each of our groups is being asked to set themselves a challenge over the course of the year that demonstrates one of our core values: respect, cooperation, perseverance, responsibility. To kick us off, Ruth and Sarah ran the Leeds 10k on Sunday demonstrating #perseverance in 29 degrees of heat. 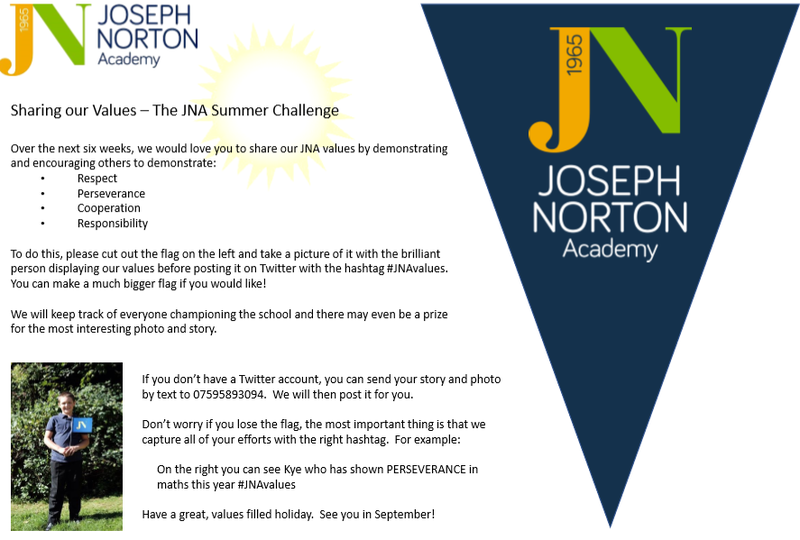 To help us think about our values during the holidays, our pupils will be waving the Joseph Norton flag when they demonstrate or spot someone demonstrating our values. Photos of these champions will be shared on Twitter with the hastag #JNAvalues. We'd love you to join in! Click on the photo to the right for more information. 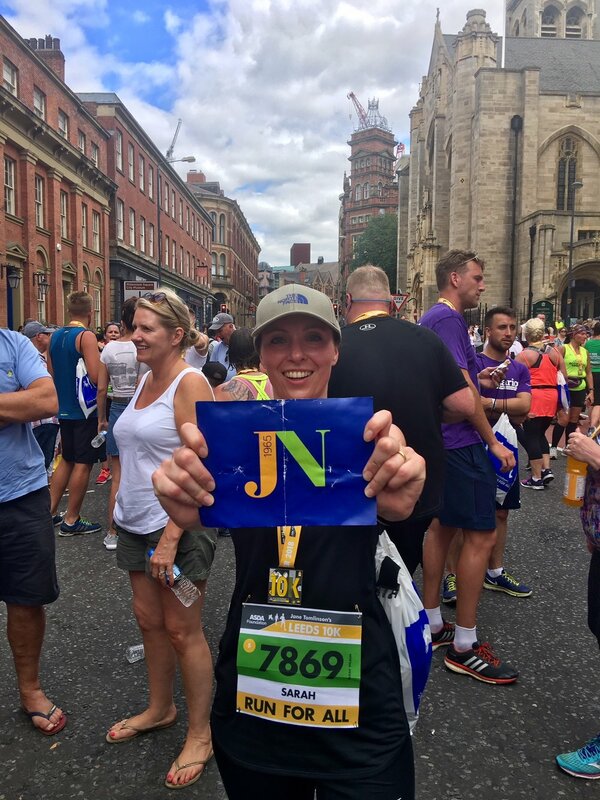 If you would like to sponsor one of our challenges, please click here.